If you had told me 10 years ago that I would be a father of two, I’d have called you crazy. 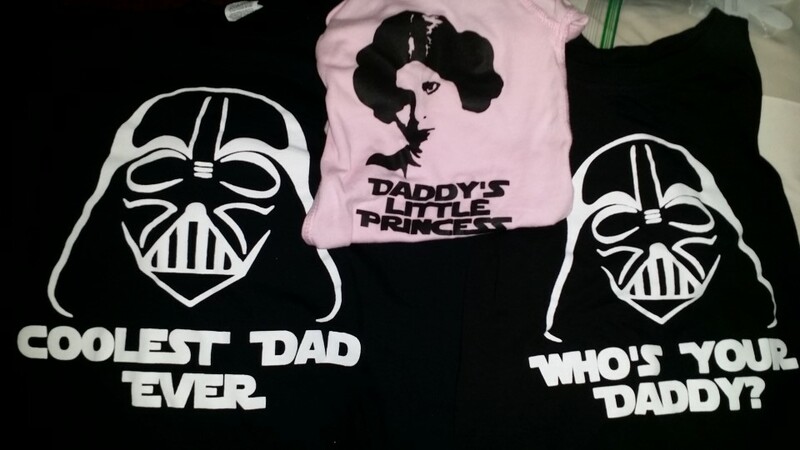 This year my lovely wife bought me and the kids matching shirts and I loved it. I have such a fantastic life. Our matching Father’s Day shirts. 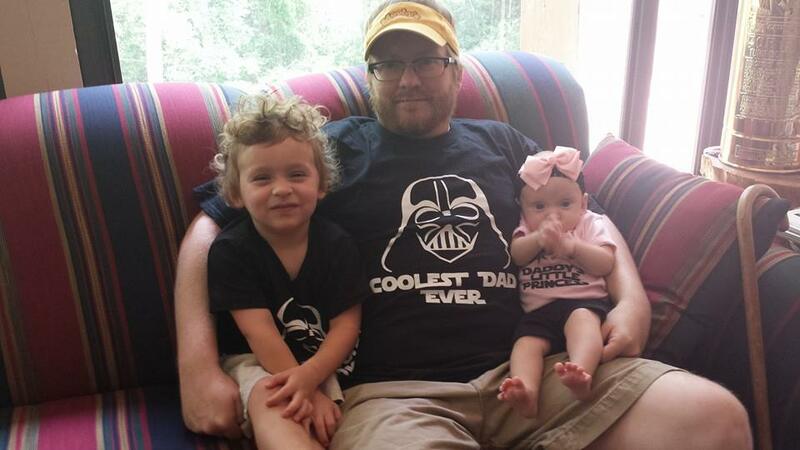 This entry was posted in Family, Fatherhood, I love Jenni, My Daughter, My Son, Pictures, Star Wars and tagged children, Family, Father's Day, Star Wars. Bookmark the permalink.